Who doesn't love morning kisses? They're sweet, they're cute and they're lovely. But sadly, morning kisses are a privilege. Not everyone gets to enjoy that. SANA MORNING KISS IS HERE! Even my lovelies approve of this sweet packaging. 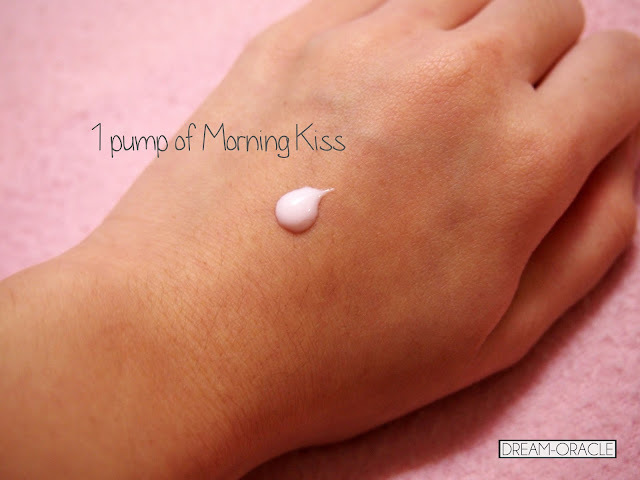 Just apply one pump onto skin after your usual skincare routine. It's a light pink colour and is slightly scented. The scent reminds me of floral-scented hand cream. Texture wise, it's a slightly watery base which is light on the skin. 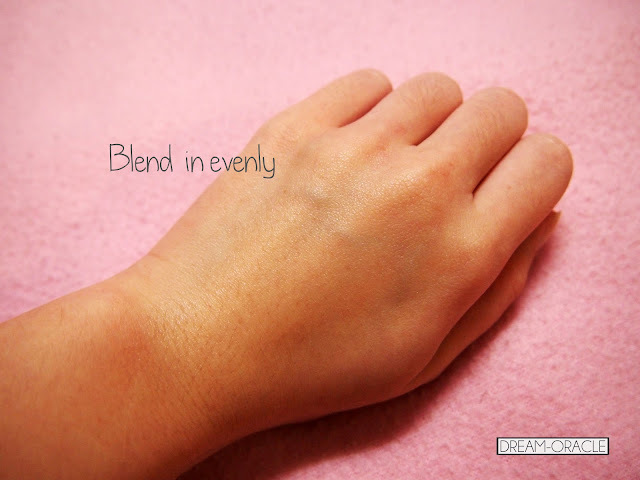 Blend in carefully and you can see that the formula completely melts into my skin. It has completely evened out my skintone and it leaves a slight sheen so it gives your complexion a healthy glow. The light pink formula comes packed with Vitamin B12 and diffusing pearl effect, it's also suitable for Asian skin because the pigments lends a hand in brightening your complexion. It's the same logic that applies with the ZA Brightener, both are pink formula and pink combats dullness, which is a common problem for Asian skin. It created a very smooth and even canvas for me before I applied pressed powder and blusher. I love the brightening effects too. It's way too early to say for sure if it's really awesome, I'll have to continue using it for a month before I pass my final verdict. But for now, I have to say, so far so good! Thank you SANA for the product!